The Global Land Tool Network works at the regional level to adapt global tools and approaches to the specific needs of the different geographical areas. Some regional initiatives cover a whole continent, while others focus on smaller groups of countries encountering comparable land challenges. Land and natural resources lie at the heart of social, political, and economic life in much of rural Africa. They represent fundamental assets—primary sources of livelihood, nutrition, income, wealth, and employment for African communities—and are a basis for security, status, social identity, and political relations. For many rural people, land and resources such as water, trees, and wildlife also have significant historical, cultural, and spiritual significance. Given the importance of land and natural resources to local livelihoods and well-being, rural people and communities need strong, secure rights over their property. Strong rights help protect rural people from expropriation, losing their land, and facing eviction. By raising expectations that people will capture returns from their land investments, secure rights create incentives for people to improve land management and agricultural production, such as by planting trees or building bench terraces to reduce soil erosion. Africa comprises five regions and fifty-four countries with diverse political histories of colonial rule. Land and natural resources lie at the heart of social, political, and economic life in much of the continent. Despite efforts for liberalization of political space, the struggle for land and natural resources remains one of the key factors fulling instability in the region. The importance of land in the development of Africa is underlined by the fact that approximately 60% of the population derives its livelihood and income mainly from farming, livestock production, and related activities. Furthermore, to the vast majority of societies in Africa land is regarded not only as an economic or environmental asset but as a social, cultural and ontological resource. However, through a combination of factors including population growth, migration, and urbanization, the overall per capita availability of land, particularly agricultural land, is decreasing in many countries. Changes in the global environmental politics and economy, such as demand for energy supplies and rapid increase in foreign direct investment are exerting new and significant pressure on Africa’s land resources. Although land is central to sustainable livelihoods in Africa, development initiatives in many countries do not always take comprehensive account of this reality. The Global Land Tool Network has been working across the various regions on the continent in order to address challenges of land tenure. On average, GLTN spends 40% of its direct programme budget on interventions in Africa. 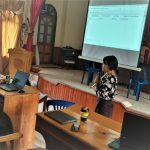 GLTN partners have engaged with partners in various countries to develop and pilot pro-poor, gender appropriate land tools, and to adapt them to each different context. A full-scale engagement at country level takes place in three countries on the continent: Uganda, the Democratic Republic of Congo and Zambia. GLTN also adds value in Kenya and Namibia through smaller scale projects. In addition, numerous capacity development interventions for land actors have been implemented in fifteen other countries on the continent. LPI’s goal is to enable the use of land to lend impetus to the process of African development and it has become the main framework for policy dialogue and change in Africa. The Land Policy Initiative (LPI)) is a joint programme of a tripartite consortium consisting of the African Union Commission (AUC), the African Development Bank (AfDB) and United Nations Economic Commission for Africa (ECA). The LPI’s goal is to enable the use of land to lend impetus to the process of African development and it has become the main framework for policy dialogue and change in Africa. The centrality of land to Africa’s development has been recognized by African governments and Heads of States, demonstrated their commitment to improving land governance through the adoption of the AU Declaration on Land Issues and Challenges in Africa in 2009 and the endorsement of the LPI’s Framework & Guidelines. The Global Land Tool Network, through the Land and GLTN Unit of UN-Habitat, has been working closely with the LPI and over the years played a pivotal role in facilitating the implementation of the AU Declaration on Land. 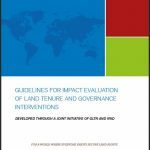 GLTN has a lead role in the implementation of the capacity development component of LPI’s Strategic Plan and implementation of various land governance related activities within the continent, in line with the Framework and Guidelines. The Global Land Tool Network entered into a partnership with IFAD to implement the ‘Land and Natural Resources Tenure Security Learning Initiative for East and Southern Africa (TSLI-ESA)‘ project to identify common issues and to enhance lesson sharing and knowledge management on land-related tools and approaches amongst the various projects, country stakeholders, and partners. The main project focus is on five thematic areas that are considered to be of particular relevance to the various projects and partners. Land & Water Rights: Recognizing and documenting small-scale farmers’ land and water rights particularly in irrigation schemes. Group Rights: Recognizing and documenting group rights, focusing on range/grazing lands, forests and artisanal fishing communities. 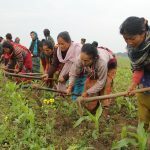 Women’s Access: Strengthening women’s access to land. Inclusive Business: Documenting best practices in securing land and natural resource rights through business partnerships between small-scale farmers and outside investors. Improve knowledge and awareness on issues and measures for strengthening land and natural resource tenure security of poor women and men. Strengthen the capacity for tool development and implementation including for in-country policy dialogue, country strategy development and project/programme design, implementation and evaluation. Strengthen and scale up approaches and tools for securing land and natural resource tenure. The Arab region is undergoing a decade of profound change, where noticeable progress and positive transformation in some countries is clouded by the spiraling into social unrest and violent conflict of other countries. There is an increasing realization that the way land is accessed, used and controlled is a key element of sustainable social and economic development, peace and stability, and realization of human rights. Good land governance is an important area of attention for the Arab region. The increase in armed conflicts and social unrest witnessed in the past decade is rooted in various issues, including land. Land administration in the Arab countries is still largely using conventional approaches hence the need to introduce the concept of Fit-for-purpose Land Administration in order to meet the needs of people and their relationship to land, to support security of tenure for all and to sustainably manage land use and natural resources. 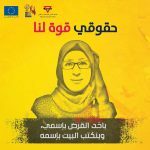 Women in the Arab region (especially those affected by conflict, displacement and migration) are widely acknowledged to be lagging behind their access to land and property rights. Desertification, land degradation, drought, and water scarcity are historical land-based resources challenges in the region, now being made more severe because of climate change and increased population pressure. Following the global trends, large-scale land-based investments are an increasingly appearing issue on the land governance landscape of the region, leading to inequity in the distribution of benefits amongst all stakeholders, including the urban poor. Vision: “All the people in the Arab countries enjoy equal and affordable access to land, peace, stability and economic growth, to be achieved with good land policies and transparent, efficient and affordable land administration systems. In 2016, a group of GLTN Partners led by UN-Habitat and the World Bank convened the ‘Expert Group Meeting on Fostering Good Land Governance in the Arab States’ on the 26-28 September 2016 in Amman, Jordan. Attended by 35 experts from 10 Arab countries, the meeting provided an opportunity to discuss the most pressing land-related issues in the Arab states, formulated a joint vision for change and developed a road map for action. Organise a regional land governance conference. For more detailed information about the outcomes of the event, contact us to request the full report of the meeting. The lead agencies of the Arab Land Governance Initiatives are currently working on raising the profile of the initiative in the region and seeking for the necessary political traction and financial support to carry forward the priority actions identified. Capacity development is at the heart of the Global Land Tool Network approach, as it enables partners to have a stronger impact, a better outreach, and more successful outcomes when implementing their land and tenure security work. GLTN has been implementing its capacity development work in the Arab States through key partners: the University of East London, UN-Habitat, the Urban Training and Studies Institute and the Arab Union of Surveyors. Series of training events on land, property and housing rights, including Somalia in 2011, Kuwait 2012, Egypt 2013, and Jordan 2014. A global competition in 2013-14 on Good Practices for Tenure security in the Muslim World, led by UN-Habitat, UEL and IIUM, aiming at identifying good practices and lessons learned. Pro-poor and gender responsive land tools and approaches were also presented by GLTN Partners UEL, UTI and UN-Habitat at the Surveying and Development Conference, organized by the Arab Union of Surveyors in October 2015. A training event for UN-Habitat and key partners on the implementation of pro-poor and gender-sensitive land tools and approaches is planned for 2017. 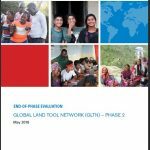 The Global Land Tool Network is supporting partners in adapting and implementing its land tools and approaches in the countries. Initiatives are ongoing in Iraq, Sudan (Darfur) and Somalia, while light support is being provided in other countries in the region, mainly through the UN-Habitat Regional Office for the Arab States and the UN-Habitat relevant country offices. In Iraq, GLTN and the UN-Habitat Iraq office are supporting the return of vulnerable communities displaced by conflict in the Sinjar governorate through the use of the Social Tenure Domain Model. In Darfur, GLTN and the UN-Habitat Sudan Office are collaborating in supporting the return of displaced communities and increasing the tenure security of returnees and host communities through of fifty villages. Capacity development and awareness raising of Darfur and Sudan land stakeholders on land governance is also a key aspect of the engagement. Despite limited consolidated data, women in the Arab region are widely acknowledged to be lagging behind their access to land and property rights. This poses concerns for the full realization of their human rights and well-being and has a negative impact on the social economic development, food security, climate change and peace and stability in the whole region. Particular attention needs to be drawn to women affected by conflict, displacement and migration, whose – and whose children – survival, protection from physical violence and capacity to recover from the conflict are closely dependent on access to land and housing. GLTN partners have been working on women access to land in the region for the past few years. Two main events were organised on the theme including a Brainstorming on Land Tools to Increase Women Tenure Security in the Muslim World (UN-Habitat, UEL, IIUM, UTI – Cairo, March 2014) and a Practitioners’ Group Meeting on Increasing Tenure Security for Women in the Muslim world (UN-Habitat, UEL, and UTI – Amman, October 2014). Building on the outcomes of such events and on the work done by the Network on the Islamic Land Mechanism, a set of Guidelines to increase women access to land in the Muslim world are being developed. The Guidelines are expected to be finalized in 2017 in collaboration with relevant experts and partners from the region should be involved in their peer review and finalization. In the past two decades, urbanization and the rapid transformation of urban areas in the Asia- Pacific region have been the engine of economic growth and prosperity in most countries. Unfortunately, this economic success has come with social costs related to equity of access to land, and with environmental costs. Despite the diversity of the region, there are six common key land tenure security issues for most countries and most regions. Firstly, there are changing rural populations brought about by an aging farmer population and colonial and national land reforms that result in an uneven distribution of land, giving rise to a rural landless population with insecure tenure rights. Secondly, access to land for women varies under state laws and customary arrangements, and this is a common way in which poor rural women are disadvantaged. Thirdly, rapid urbanization impacts on urban land markets and land speculation and strains the provision of basic urban infrastructure and service delivery by local governments. Fourthly, the demand for land has resulted in encroachments onto marginal and forest areas, Indigenous Peoples’ territories and common property resources, and grabbing of Indigenous People’s land has continued due to economic and commercial pressures. Furthermore, the region is among the most vulnerable to climate change and natural disasters such as glacial melt, sea-level rise, impacts on food and water security, and drought which all result in displacements. Lastly, despite Islamic tenure and principles being influential even where colonial reforms created new tenure types and formal approaches to land administration, there is a plurality of tenures in predominantly Islamic countries with formal, customary and Islamic tenures which results in land issues. Across the region, ineffective and unresponsive land administration and management are barriers to improved tenure security. However, the region is progressively moving towards developing a shared vision for a regional platform. GLTN partners are already supporting a regional land tenure initiative in the region building on LPI and GLTN networking experience. In the coming two years, regional partners plan to steer a regional debate around land issues that may involve member states and bind them towards the establishment of a more formal regional platform led by UN-ESCAP. Since the 1960s, Latin America has been considered one of the regions with the most inequality, both in terms of income distribution as well as other services. Historically, no single factor has contributed to this inequality as much as the unequal distribution of land. Notwithstanding the growing urbanization and the loss of political power suffered by the rural elites in many countries in the region, the problem of land distribution has not been resolved. This is the world’s most highly urbanized region, with 75 percent of the population living in cities in 2000. By 2030, 83 percent of the population of Latin America and the Caribbean will be urban. Until recently, vulnerable segments of the population, such as indigenous people, blacks and women have been excluded from the direct benefits of agrarian reform programmes due to discriminatory regulations related to land distribution, titling, and inheritance. 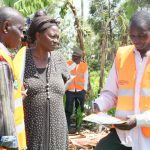 GLTN partners engage in the region to address these issues by implementing pro-poor and gender appropriate land tools such as the Social Tenure Domain Model and participatory enumerations. The tools were piloted in St. Lucia and St. Vincent and the Grenadines, in the Eastern Caribbean, within the context of family lands to provide increased tenure security to the local communities (see publication). GLTN has also engaged at a policy level, promoting cross-cutting issues, which contributed to an increased appreciation of these issues by the Organisation of Eastern Caribbean States (OECS) Member States. The support at this level resulted in the inclusion of the pro-poor and gender dimensions in national land policies in St Lucia and St Vincent. In addition, generic Land Policy Guidelines have been developed for OECS to ensure the smooth development of the land policies. Currently, GLTN partners are finalizing a regional scoping study to identify key common regional challenges, opportunities and a way forward regarding land governance in the region, drawing on the same intervention in Asia and the Pacific.